Daniele Constance (an ethical fashion cheerleader from way back) is the creative mind responsible for giving us Suitcase Rummage – a mini-scale market that gives second-hand addicts a chance to buy and sell goodies. 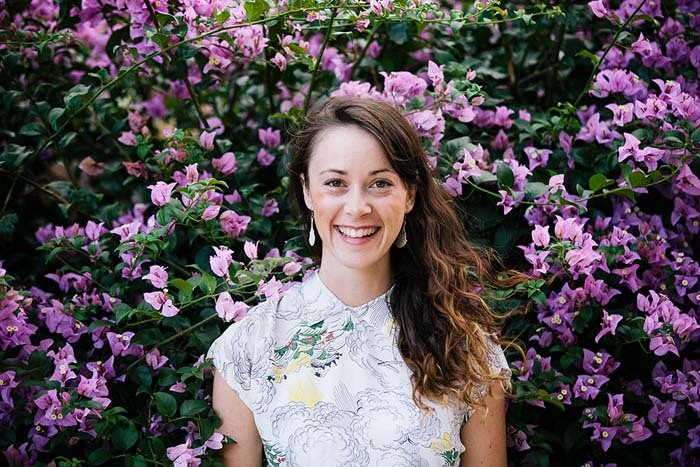 A focus on slow fashion and social connectivity drove her to start a small business with a big impact. We chat to Daniele about her inspiration behind Suitcase Rummage and what it takes to run a market. 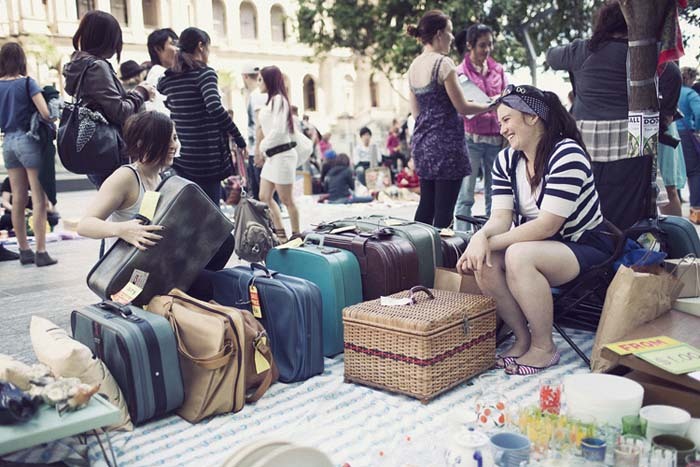 I started Suitcase Rummage as a way to try and change the market culture and our attitudes towards consuming! It was a long time ago now, but back then I had been working at various markets in Brisbane and on the Gold Coast and was frustrated with the lack of support to the creative community behind them. All the creatives and collectors were being pushed out to make way for imported and mass produced items, it was expensive to be involved and just generally a bit of a sad vibe. So, the idea was born over a cup of tea with my dear friend Isabel. Six years later and I’m still Rummaging! Why do you think slow/ethical fashion is important? I think it is so important!! I’m not one to judge on consumption, we all consume, everyday. Whether it’s through driving our cars to work, buying spinach leaves from Coles, or a new pair of socks for winter. We all do it! But, I feel there are some easy, simple ways that we can be more conscious about the choices that we make and the affect that has around the world – and fashion is one of them. It’s really not hard to buy second hand, recycle, borrow from a friend, or take the time to research the brand you are buying from. We live in such an immediate, fast, changing world and fast fashion is one of the biggest polluters and impacts so many lives in developing countries. Where we are (in a first world country) is where the change can happen. What do you hope people will get out of participating in a rummage? I hope for many things! I hope that our stall holders receive positive feedback about their handmade goods, recycle some of their wares, make a bit of cash to support one of their adventures, meet someone lovely, get inspired…I hope our Rummagers add to their wardrobe and understand where their new goods have come from, and by making that purchase they are making a difference. What do you love about hosting suitcase rummages? Seeing other people getting excited about it! The thrill of the thrift, people supporting each other in expressing their style, the random and unique things that show up at a Rummage! The people I have met over the years is also what has kept me going, finding other like minded collectors and appreciators, getting together in one place and having a yarn. What’s your favourite item that you’ve rummaged? Such a hard question!! Right now I’m wearing a pair of Gorman jeans, a vintage bird print blouse from the 70s and a handmade silver ring, all found at various Rummages. Most of my wardrobe and home is filled with items from the Rummage over the years, they are all special in their own way. Conscious Consumption – Buying second hand, re-using, repurposing and up-cycling means you are increasing the lifespan of a garment that would otherwise end up in landfill. Community Connection – Rummage was built on the foundations of place-making and actively bringing people back into public spaces for connection and participation. One of the simplest ways to see this is how we set up in public parks or squares and how we often attract a diverse range of people to our markets (as sellers and rummagers!). We’ve had people meet setting up next to each other at a Rummage and then becoming housemates weeks later! Access – Suitcase Rummage was also built with a strong intention to make it accessible for people from all walks of life. This is across age, gender, cultural background and, further more, we don’t screen applications for stall holders or judge anyone’s items. Anyone can apply and come along, you don’t need infrastructure or insurance, you just need a willingness to try (and a suitcase or two!). Time management, over committing and thinking you can do everything! It was a hard lesson to learn that I couldn’t do it all on my own, when my expectations of myself weren’t realistic. Ultimately, a good lesson! I have some truly wonderful people around me who support me and the Rummage. What’s the most surprising thing about running your own business? That it’s possible. I know that sounds a little ridiculous, but I didn’t study business and there was never a point in my life where I thought that’s what I would be doing. I’ve always had ideas and creative energy that needed a home, but I never thought I would be a) running a business and b) still running that business! I often think the hardest part is believing in your ideas and putting them forward, but it’s the beginning of great things. There are so many wonderful resources for this now, which is great! Fashion Revolution have a great section of downloaded books and guides, there is an ethical fashion report that gets released every year listing big brands and their impacts…But the heart of it is, buy less and recycle more! If you are going to buy something new be curious about it and ask questions – find out where it was made, look at the materials (is it organic, recyclable? ), who made it (is it fair trade, ethical, local?) and if you can’t answer those things, then think again about making that purchase. Any advice for young women wanting to start their own business? Do it! Take the leap and believe in yourself! At the same time, also seek advice and build a good support system around you! It’s not an easy endeavour and I’ve had my fair share of late night phone calls, tears over youtube tutorials and general wobbly moments! But, it also gives you so much freedom and independence to pave your own path, be your own leader, meet some truly wonderful people and do the things that make you want to get out of bed in the morning. 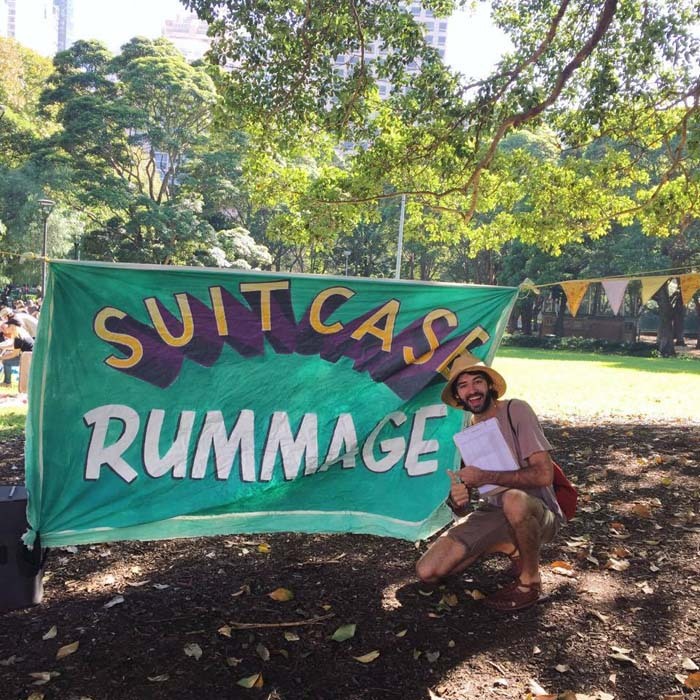 Find out when the next Suitcase Rummage market is near you by visiting their website or following on Facebook or Instagram.